20thCenturycollectables.co.uk: Current stock: THIS ITEM IS NOW SOLD Chandelier of rare lilac iridescent glass discs dating from the 1960s by Mazzega. Diameter 39cm. Length 40cm plus chain length to suit. 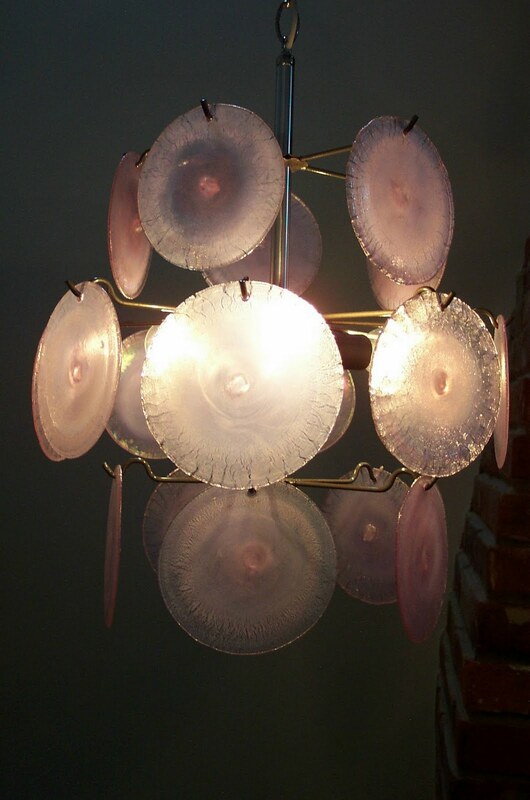 Current stock: THIS ITEM IS NOW SOLD Chandelier of rare lilac iridescent glass discs dating from the 1960s by Mazzega. Diameter 39cm. Length 40cm plus chain length to suit.